Ballet Arizona dancer Colleen Buckley with EMCC dance students. It’s no secret: the Greater Phoenix geography is a tough one. With the Valley broken up into distinct and far-removed communities (NW Valley, SW Valley, NE Valley, SE Valley, Downtown, & Phoenix Proper) it can be difficult to create a unified arts community among residents across our vast landscape. However, Ballet Arizona and Estrella Mountain Community College are teaming up to tackle that challenge. What began in 2017 as a thought experiment on growth and opportunity has now blossomed into a full-fledged collaboration between the two organizations. The collaboration, dubbed Dancing Across the Valley, was designed to be a cross-community initiative that supports both organizations’ missions while simultaneously bridging the geography of the Valley of the Sun to create new and exciting dance opportunities in the West Valley. 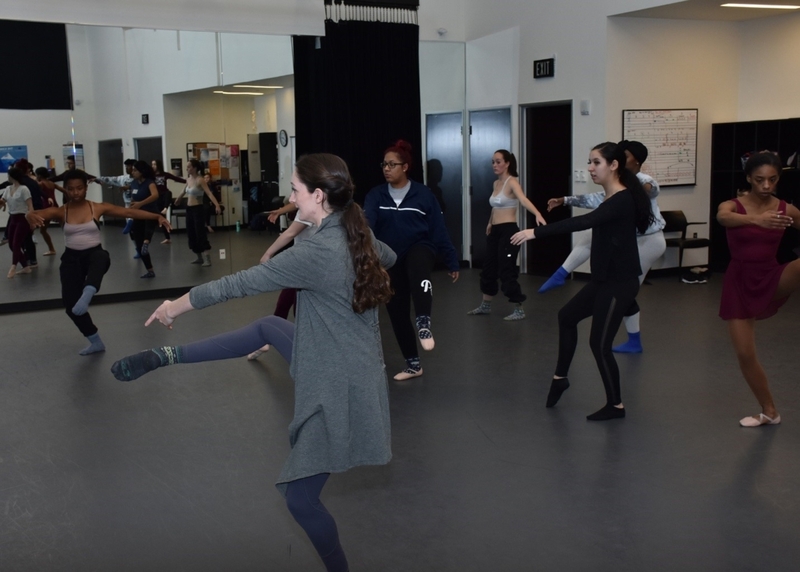 As part of Dancing Across the Valley, Estrella Mountain Community College will host Ballet Arizona company member Colleen Buckley in a weeklong residency with the Dance Program, who will choreograph an original work for Estrella dance students. 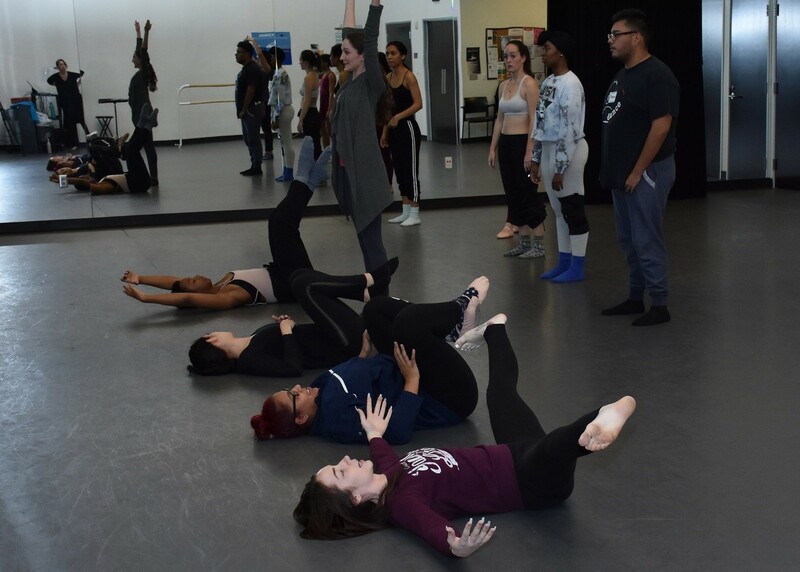 This work, along with a few others, will be performed at the Estrella Mountain Community College Performing Arts Center (PAC) in March at a joint performance series featuring Ballet Arizona professional company dancers, studio company dancers, and the Estrella dance students. For those interested, Dancing Across the Valley performances will take place at 1:00pm and 4:00pm on Saturday, March 23, 2019 at the EMCC Performing Arts Center (PAC). Tickets are $10 general admission and free to Maricopa students with ID. Seating is limited and tickets are available at the door. Ballet Arizona professional and studio company dancers will perform current repertoire and Education and Community Engagement Manager, Alexandra Papazian, will offer special insights about the lifestyle and career of ballet dancers. Estrella dance students will also perform the dance choreographed by Colleen Buckley as a culmination of the residency. Audience members will have an opportunity to participate in a brief Question and Answer discussion with dancers and event organizers at the end of the show. For performance questions and/or ticket information, please contact the PAC Box Office by email at boxoffice@estrellamountian.edu or by phone at 623-935-8141 or 623-935-8444. This is a wonderful project. Congratulations, Colleen, for participating in this. Colleen, thanks for doing this. It is a great community engagement project. We really appreciate the reach-out to the West Valley.